Ingham GSC, Birth to Five Vision: Every child ready to succeed in school and life. 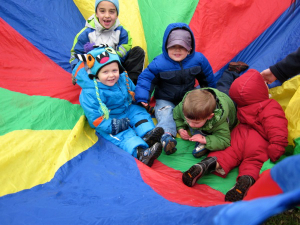 Ingham GSC, Birth to Five Mission: Every family in Ingham County has access to a universal, comprehensive, and collaborative system of community-based early childhood programs, services, and supports. Project beginnings: Great Start is Michigan’s nationally recognized state-wide initiative to foster school readiness and life success for young children. Governor Jennifer Granholm launched Project Great Start in her 2005 State of the State address. The governor described this new initiative as a movement that challenges us all to recognize that education begins at birth, not when a child enters school. The Ingham GSC, Birth to Five is part of the Michigan Great Start partnership with the Early Childhood Investment Corporation (ECIC). About Ingham GSC, Birth to Five: Birth to Five is a subcommittee of the Power of We Consortium, which is the multipurpose collaborative body for human service agencies in the Capital Area. The Ingham Great Start Collaborative (GSC), Birth to Five is a coalition of human service agencies, parents, and other partners working together to develop a network of early education and care to support children and families in Ingham County. Additional information about resources in Ingham and other counties is available here on our website under the Resources tab. More information: The following are links to relevant documents providing more information about the work of the Ingham GSC, Birth to Five Initiative. 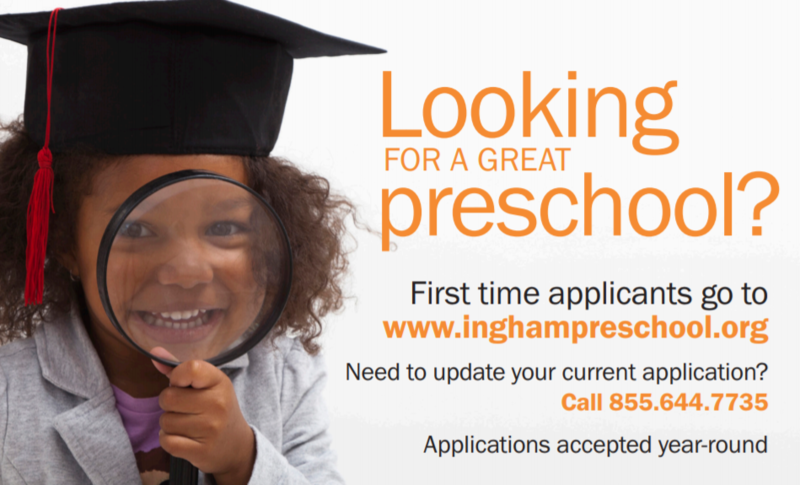 Informational flyers about Ingham Preschool are available in 7 different languages. To access them, click here. Michigan Wins Competitive National Award – How to get Involved! Week of the Young Child: Work Together Wednesday! Dates and times of Ingham Great Start Collaborative meetings and work groups. Learn more about how you can improve your child’s overall experience and achievement in school. The best place for families to search for child care. Check it out today.